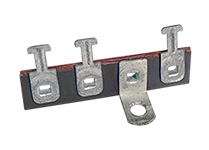 TRW phenolic heavy-duty terminal strip. 2 positions. No grounds. 1" mtg centers. 1-5/16" x 9/32" x 7/8". TRW / Cinch #2002. Terminal strip. Two (2) "T" lugs. 1 grounded, 1 mounting foot. 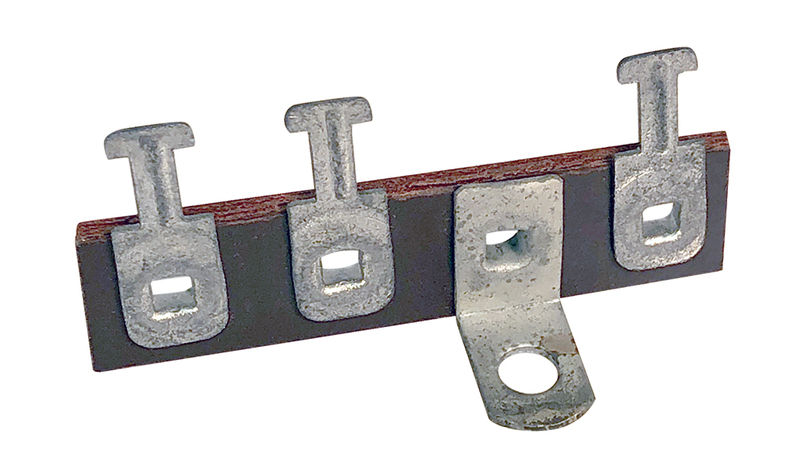 3/8" c-c.
2 position dual use terminal strip. Solder or screw. 1.44" long. Floating terminal strip. 3 position. 1-1/2" mounting centers. Terminal lug. 3 lug, 0 ground. 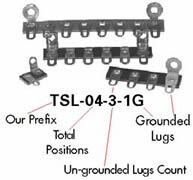 1-1/2"L. 3/8" mounting centers. 1 mounting foot. 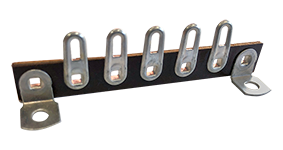 Vertical mount terminal strip. Straight foot. Three (3) "T" lugs, 1 grounded. 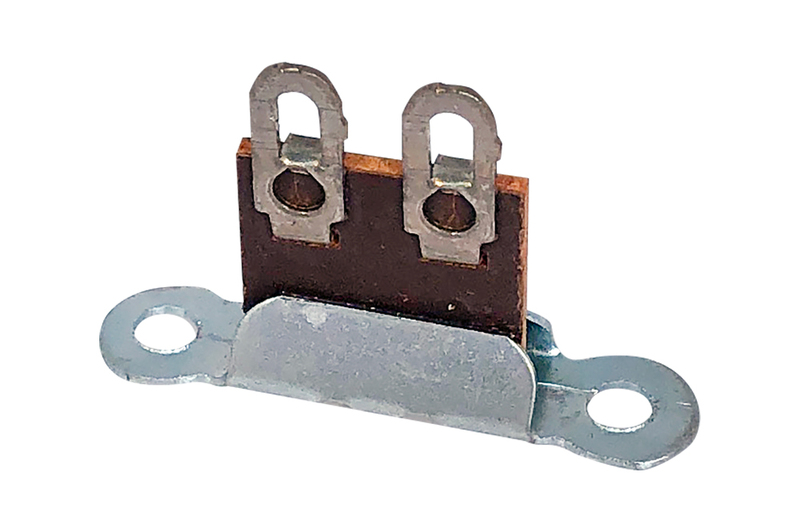 0.25" c-c.
3 position dual use terminal strip. Solder or screw. 1-15/16" long. 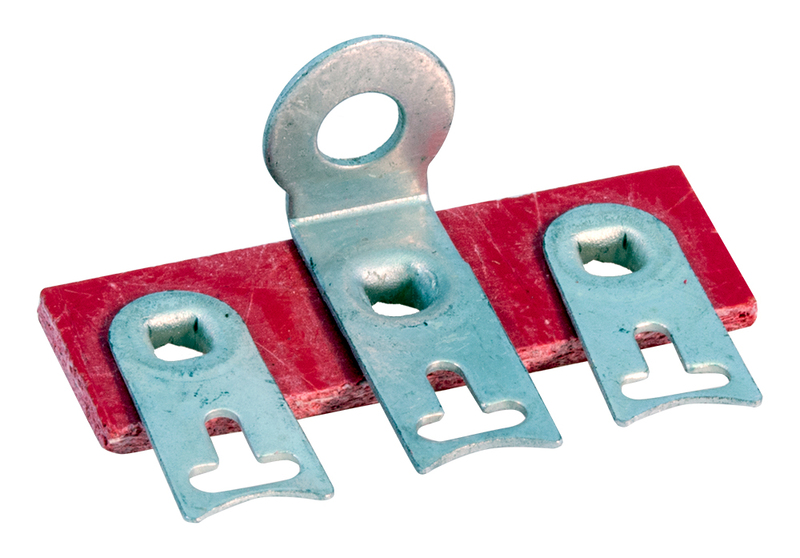 3 position vertical, dual use terminal strip. Screw or solder. 2" high. Terminal strip / turret top (rare). 4 lug, 1 grounded. Miniature terminal strip. 4 lug, 1 foot. No ground. 1/4" c-c lugs. 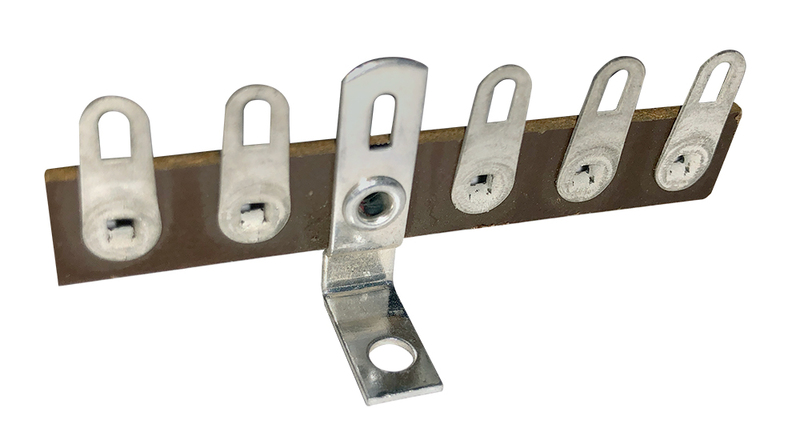 5 position, all isolated, heavy duty terminal strip. 1-15/16" center to center mount holes. 7/8" high. 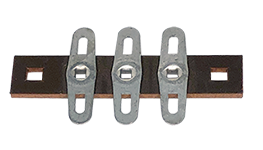 Phenolic terminal strip. 5 lugs, none grounded. 2 mounting tabs. 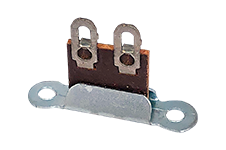 2-5/8"L. 2-1/4" c-c mounting holes. Terminal strip. 6 lug, 2 grounded. 3/8" c-c lugs. 2 mounting feet. 0.14" ground holes. 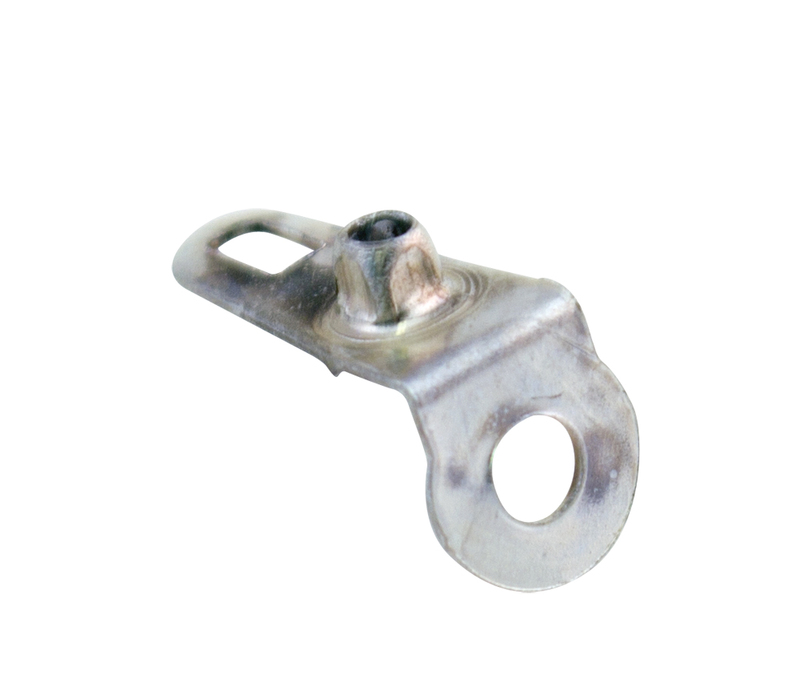 2.25" overall length. 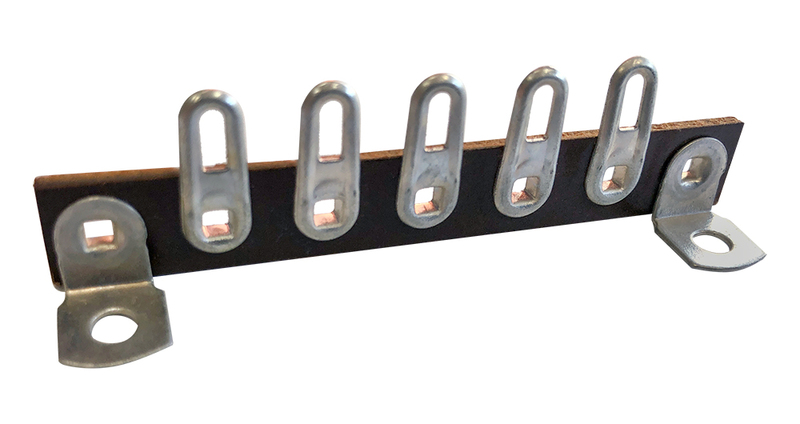 Phenolic terminal strip. 6 position, 5 ungrounded, 1 ground. 3/8" lug centers. 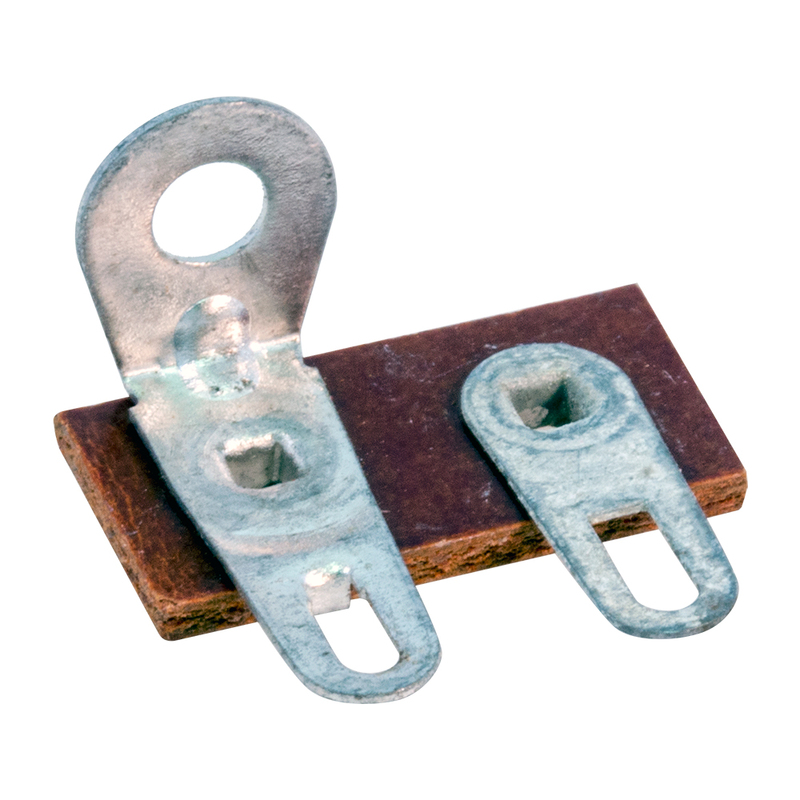 2-1/4"L.
Phenolic terminal strip. 7 lugs, 2 grounded. 2-5/8" x 3/4" x 15/32". Variation of (TSL) 07-5-2G. Terminal strip. 8 lug, 2 grounded. 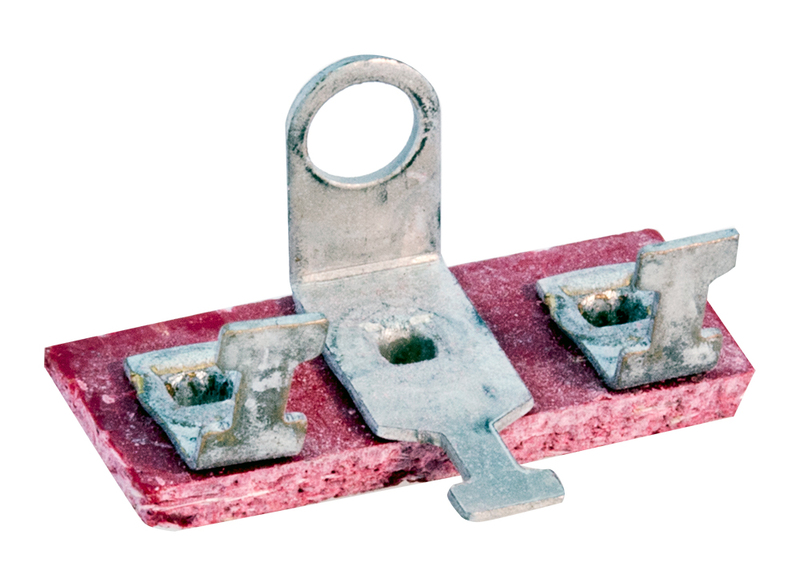 2-5/8" c-c mounting feet. 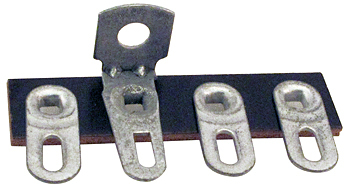 3/8" c-c.
10 position banana terminal strip. Old fashioned phenolic and brass hardware construction. Banana plugs into jack, each with solder terminal. 12-1/4" long. NSN: 5940-10-406-7478. H.H. 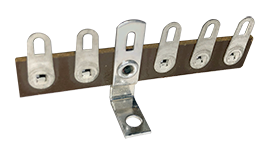 Smith Inc. replacement ground lug for old fashioned strips. 11/16"H overall. 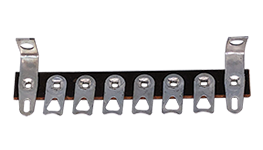 8 position, all isolated, heavy duty terminal strip. 2-15/16" center to center mount holes. 7/8" high. 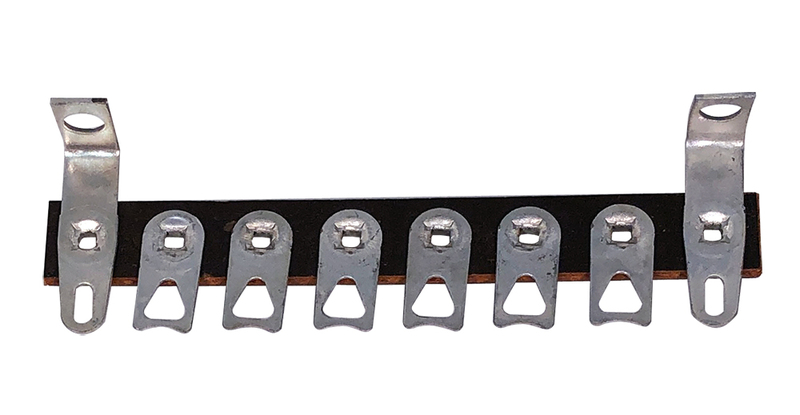 10 position, isolated terminal strip. Heavy base. 3-1/2" center to center eyes. 7/8" high.